Café Velours may look like any other place offering a warm and cozy environment to study, work, or meet your friends. 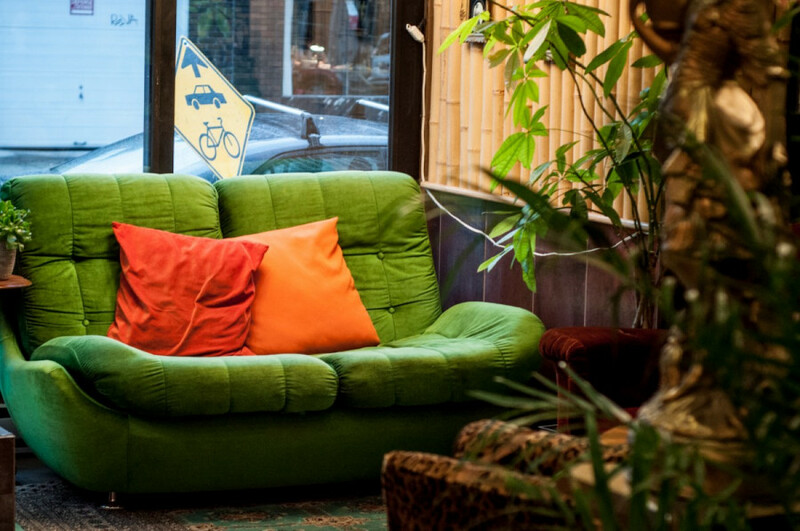 But this Villeray coffee shop stands out—Café Velours is run by an energetic team of volunteers who strive to serve the queer community they love, and provide a space where everyone can express themselves and feel safe. “It’s about offering a place where everyone, including the most marginalized, get to be visible and feel included,” said Allison Murray in French, who started working at the café earlier this year. Café Velours stands where Villeray’s Baklawa Café once stood. Founded in 1980, the historic bakery became a staple of the neighbourhood. When its success pushed the owner to find a bigger location, three employees, Vanille Salé.e, Alexandre Huard, and Ariane Proulx offered to take over. The place reopened as Café Velours a year ago, and the former bakery workers were joined by two other friends, Murray and Mariam Mathlouthi, to help manage the business aspect. For now, everyone in the team has been volunteering their time at the socially conscious establishment. “We hope to be able to hire employees in the future, but we want to be able to offer them more than minimum wage,” said Murray. This has allowed the café to become the home of unexpected and engaging encounters. “I think it’s nice for queer youth to see and meet older queer people, to see all the different lives that aren’t always represented in mainstream media, and to share their experiences,” said Murray. 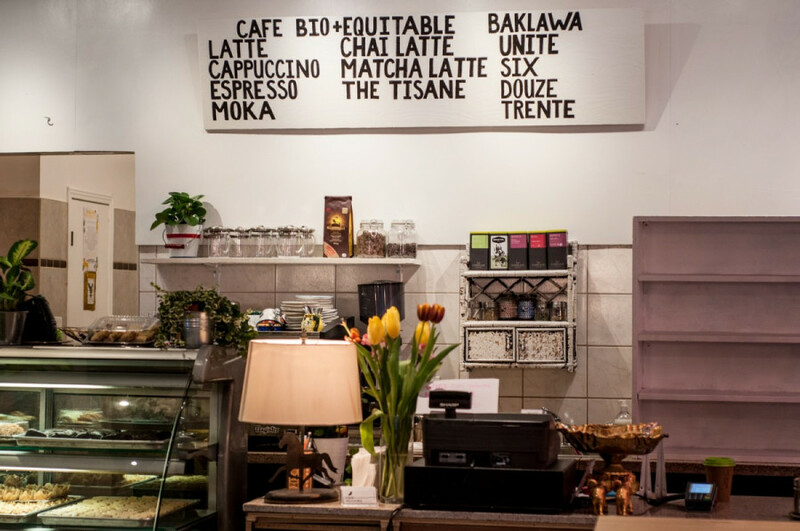 The team wants to make sure that the café can exist within Villeray without participating to the gentrification of a historically working class neighborhood with a strong immigrant presence. They let the Association des locataires de Villeray, a local non-profit advocating for tenants’ rights, use their space for meetings and informative panels. The team envisions the café as a place where all kinds of activists can organize and share their expertise with the community. “We have more and more organizations reaching out to us lately. I’m really excited about what’s coming up for the summer,” said Mathlouthi. The team strives to keep the café as environmentally friendly as possible. A bright yellow plant wall where they grow all sorts of herbs for their kitchen acts as a partition in the middle of the open room. The plant wall is the result of a collaboration with Mantis Environmental. 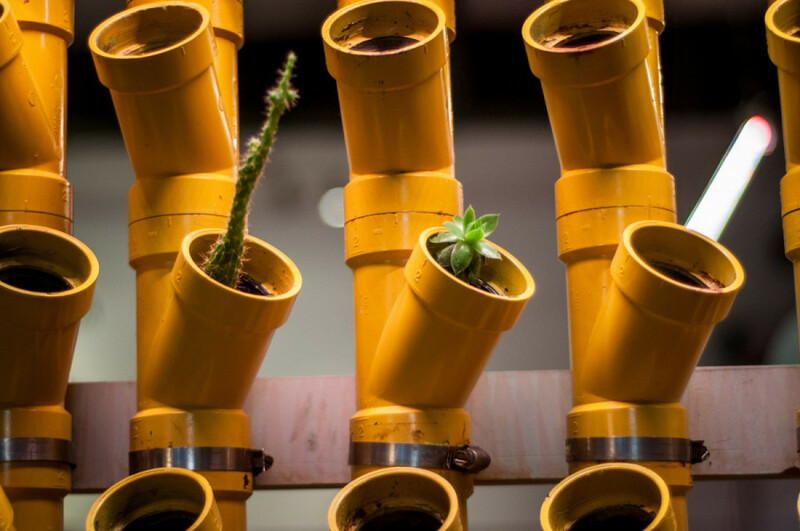 The startup offers its expertise on sustainability through educational workshops. They already hosted several do-it-yourself events at the café to introduce to hydroponic farming or teach how to build solar-powered phone chargers. Café Velours also aims to support the local artistic community as much as they can, explained Mathlouthi—they allocated space for artists to display and sell their work. “We try to have the artists who can’t always pay the fee a traditional gallery would charge them,” said Murray. Regularly, they host open mics events where they encourage and welcome every art form. At 313 Villeray St., Café Velours is open everyday from 7 a.m. to 9 p.m, according to their Facebook page. You can follow them on Facebook for upcoming events.